Motion are a group of video professionals who have been working in the broadcast production industry since the early 1990s. In this time we have worked on hundreds of productions covering many different styles and industries. Abacus Manufacturing Group – Bathroom furniture, heating solutions and waterproofing systems. Bausch + Lomb – One of the world’s largest suppliers of eye health products. Bostik – Leading providers of adhesive and sealant solutions. Bristan Group – Bathroom suites, taps & accessories, including electric showers. British Swimming – National governing body for Swimming, Diving, Synchronised Swimming, Water Polo and Open Water. Fox Sports Asia – Asia’s leading cable sports television network. Keylite Roof Windows – Innovative roof window manufacturer. P&A Wood – Bentley and Rolls-Royce Motor Car & Heritage Dealer. Pitney Bowes – Global eCommerce solutions, shipping and mailing products and location intelligence. Sharps Redmore – Acoustic consultants. Techtronic Industries – Designer and manufacturer of power tools including Milwaukee, Ryobi, AEG and Hoover. The ASA – The Amateur Swimming Association. Trials Equipment – Agricultural equipment designers. 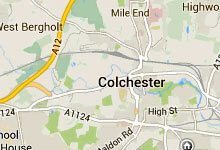 Worcester Bosch – Domestic heating and hot water products manufacturer.